Locked out? No worries! Call AGR Locksmithing 24 hours a day, seven days a week for all of your commercial, residential and automotive locksmith needs. With over 20 years of experience, we are your trusted and reliable locksmithing service. Looking for a locksmith in Atlantic City? Don’t call a company that will overcharge you for simple service. Instead, rely on AGR Locksmithing. With two decades of experience in providing top-notch locksmith service, we can handle any of your home, business or automobile lock needs. We cater specifically to Atlantic City casino hotel guests, as well as local families and businesses. Whether you have lost your car keys and need emergency locksmithing care or you need your locks re-keyed, we are here to help. Our focus is always on providing the absolute best customer service available no matter what time of day you need locksmithing service. We are able to perform emergency service for home, business or automotive lockouts. We bring over 20 years of experience to serving your locksmith needs. We are proud members of the Associated Locksmiths of America. We offer competitive prices for all types of services. When calling after hours, please leave a voice message with your location and the work needed so that we can better help you. 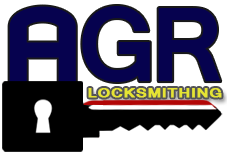 For convenient and reliable locksmithing, there is no better name in the business than AGR Locksmithing. Contact us with any of your lockout needs today!